When you think of attending a counsellor you automatically think about sitting on a sofa and discussing the challenges of your life. For your pet, a pet health counsellor can guide you through the nutritional and healthcare challenges of their life. A Pet Health counsellor supports the role of the veterinary team, from vets to nurses reinforcing advice about the life-stages of your pet, from puppy and kitten-hood to the senior years and the clinical and nutritional demands of each life-stage. Did you know small breed dogs have a much higher energy expenditure than large breed dogs and therefore require a diet that is rich in protein and fat. They also reach maturity sooner than large breeds. For large breed dogs, it can take up to 2 years to reach maturity and they require a lesser energy supply to accommodate this slow growth. If this dietary requirement is not met, it could have serious complications to its health particularly in relation to bone growth. You can also seek advice from flea treatments to worming control, from behaviour to pet insurance, from dental hygiene and teeth brushing to preventative healthcare, from nutrition for your puppy to nutrition for your golden oldie. This is achieved through nurse led clinics. Our Nurses currently run a successful weight clinic in which cats and dogs are beating the bulge. Pets of all sizes are invited to attend the FREE weight clinic for body scoring and if they require a diet, a tailor made diet plan can be formulated for your pet. Contact the clinic if you are concerned about your pet's weight or if you wish to see our Pet Health Counsellor, an appointment can be made for you. 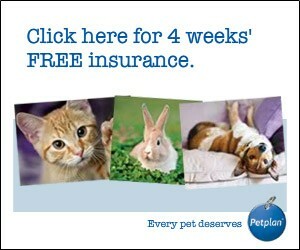 Please note the Pet health Counsellor can not offer diagnosis if your pet is injured or ill. In the near future, new exciting supportive nurse led clinics will be introduced and available for your pet. Keep an eager eye on your news feed in your social network site and at the practice for new ventures to come.